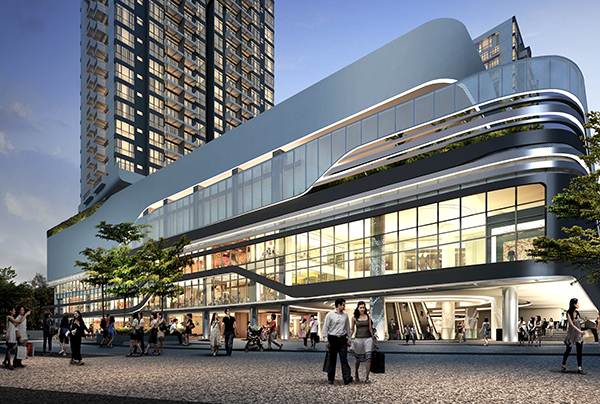 Sim Lian Group Limited brings forth an exciting mixed-use development to watch out for in the suburbs of District 23. 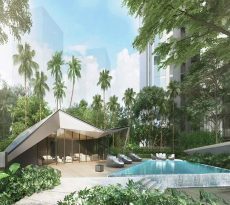 Hillion Residences now rises at the corner of Jelebu and Petir Roads in Bukit Panjang. It’s a masterpiece of cosmopolitan convenience melded with countryside calm: a 23-storey residential condominium atop a 3-level shopping podium with an integrated transport interchange. The target completion date for this 99-year leasehold is within the year 2016. – A two-level basement parking area, located on levels 3 and 4. And of course, let’s not forget the shopping mall just below the residential blocks. All you have to do is head downstairs and you’ll find yourself in the midst of boutiques, retail stores, salons, restaurants, restaurants, and a host of other establishments for hours of leisure and entertainment. It also has a department store and a supermarket, so you don’t need to go far for your daily household needs. 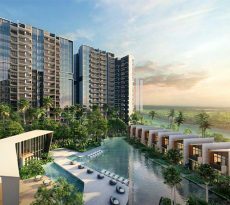 The site is comprised of three lots – #8, 10 and 12 Jelebu Road – now combined into a 1.8 ha (approximately 204,000 sq ft) parcel in Bukit Panjang Central. 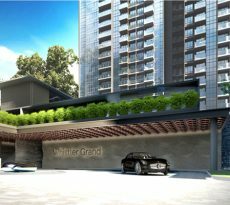 It’s a highly accessible location, ideal for residences as well as businesses, perfect for both commuters and private vehicle owners .It’s currently occupied by the Bukit Panjang LRT Station, which will also be integrated into the new development. Once completed, the building will also have an integrated bus interchange, plus a direct link to the Bukit Panjang MRT Station (Downtown Line) which will begin operating sometime this year. With all these brilliant conveniences and connections built into the development, you’ll have an breezy time traveling to and fro. The stations are just downstairs from your condominium, and it will only take you a few minutes’ walk. It will be very easy for you to get to the CBD or Marina Bay. And oh – have we mentioned that the transport hub is air-conditioned? There’s no need to fear hot, humid days. However, you’ll probably want to drive your car from time to time. Here’s some great news for you: the site is seamlessly connected to main routes including Upper Bukit Timah Road, (which leads directly to the Pan-Island Expressway), Bukit Batok Road, Bukit-Timah Expressway, and Kranji Expressway. One of the best things about the location is its proximity to greenery and woodlands. Within minutes, you can embrace the tranquility and the freshness at Dairy Farm Nature Park or Bukit Batok Nature Park. Also nearby are Bukit Timah Hill, Bukit Panjang Park, Bukit Timah Nature Reserve and the Upper Peirce Reservoir. Not too far away are Bukit Batok Hillside Park, Upper Seletar Reservoir, and the Kranji Reservoir. Besides the mall integrated into Hillion Residences, there are other places to shop at too, like Bukit Panjang Plaza, Junction 10, Lot One, The Rail Mall, Beauty World Plaza, West Mall, Fajar Shopping Centre, and Greenridge Shopping Centre. and There’s also the nearby Giant Hypermart. When you feel like looking for other fun things to do, you can check out Senja Cashew Community Club, Btukit Timah Panjang Community Club, Warren Golf and Country Club, Zhenghua Community Club, Choa Kung Stadium and Sports Hall or the Singapore Island Country Club. You might also want to take your family to Singapore Zoo or Night Safari. You don’t have to travel across the island every day just to ensure your kids get a good education. There are a lot of schools near Hillion Residences. Primary: CHIJ- Our Lady of Queen of Peace, Bukit Panjang PS, Greenridge PS, West View PS, Beacon PS, Zhenghua PS, South View PS, and Teck Whye PS. Secondary: Assumption English School, Nanyang Girls’ School, Chestnut Drive Secondary, Fajar Secondary, Methodist Girls’ Secondary, West Spring Secondary, Zenghua Secondary, Regent Secondary. Colleges: Singapore Institute of Management, Ngee Ann Polytechnic, Singapore Polytechnic, Republic Polytechnic. Hillion Residences is a dream come true, especially for people who would love to live next to nature without giving up the conveniences of the city. It’s lovely address to move to, and a worthwhile property to invest in. With the continuous improvements going on in the region, things can only get better. See yourself there yet? Contact a specialist at iCompareLoan mortgage broker. With his expert insight, you can compare home loan Singapore in the most efficient way available, so you can make better, quicker decisions.